Drum roll, please! 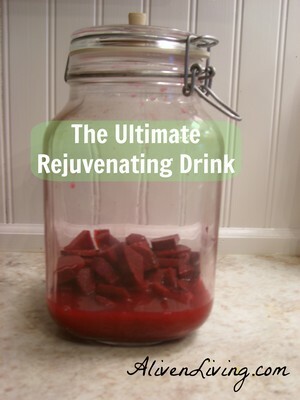 The ultimate rejuvenating drink is… Beet Kvass! Beet kvass is a lacto-fermented drink made from beets that is extremely easy to make! It is essentially medicinal, so you wouldn’t serve it to guests (even though I have ;)) but it has extraordinary healing powers. And for all my real foodie readers, Sally Fallon says that beet kvass has gotten more positive testimonials than any other beverage in NT! Now that’s impressive! Beets are loaded with nutrients, so beet kvass is an easy way to rejuvenate your body. It is an excellent blood tonic, promotes regularity, aids digestion, alkalizes the blood, cleanses the liver, and treats kidney stones. It is also high in iron which makes it a great beverage for pregnant women. 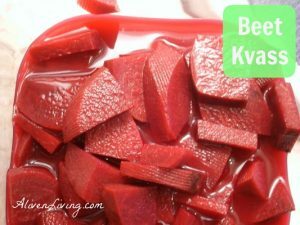 I always craved beet kvass when it was that time of the month and it helped to ease the cramping. I’ve heard stories of people curing their candida and even cancer with the help of beet kvass! Only 4 ounces of beet kvass both morning and night will give you the above benefits! Note: Do not use grated beets to make beet kvass. The beets should be coarsely chopped by hand. Also, you can make whey by straining plain, whole milk yogurt. You can either pour the liquid off the top of it, which is whey, or you can strain the yogurt overnight in a sieve placed over a bowl and the whey will drip through. Place beets, whey, and salt in a 2-quart glass container. Have You Ever Tried Beet Kvass? I just LOVE beet kvass. 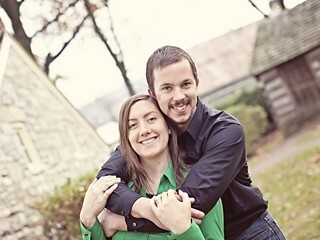 Early in my pregnancy with my 2nd child I broke out in a rash that the doctors thought was chicken pox. It was actually my liver being overworked and my skin breaking out as a result. I drank beet kvass and it cleared up within days! I drink it through every pregnancy as a daily tonic (and even when I’m not pregnant!). My toddler was burnt and beet kvass was used as a tonic for him and rapidly increased healing due to the high iron content. I juts think it is a miracle tonic! We love this drink! thanks for the great post. I taught it to my patients in a seminar and let them taste it.